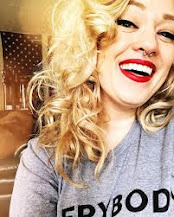 I am a unique character and avid admirer of vintage, tiki and anything creepy. 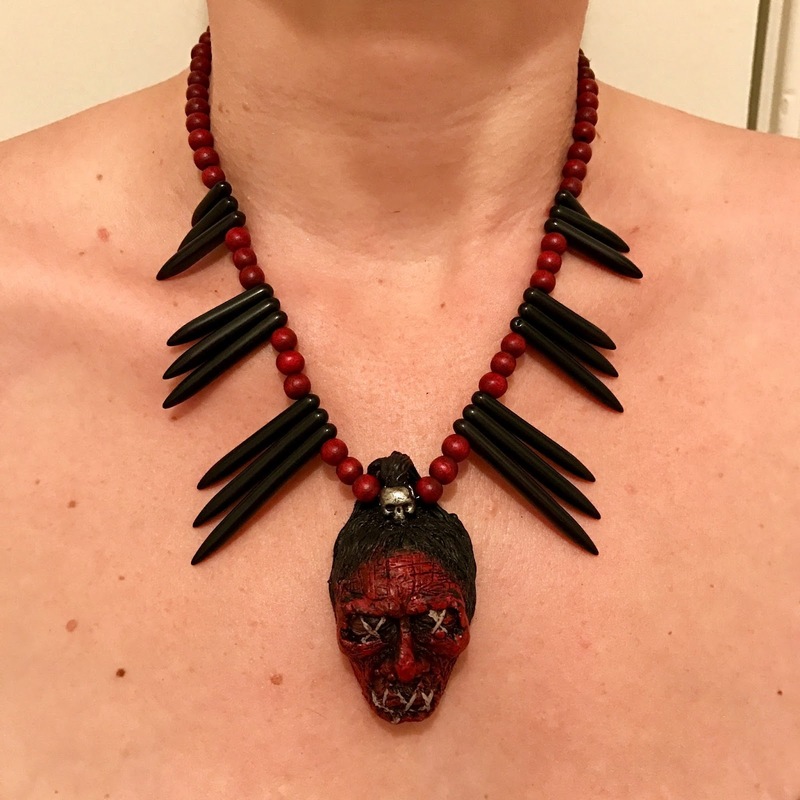 That’s why my store motto is “Where creepy meets tiki!” I specialize in several things ranging from tiki shrunken head necklaces (big with the So Cal tiki crowd) to occult style rosaries to be used by practicing witches and more light hearted spooky halloween inspired jewelry. I took everything I loved and basically did my own take on it and made things I wanted but couldn’t find anywhere else. I guess you could say I have one stilettoed foot in a vintage tiki paradise and the other in a macabre Tim Burton fantasy! HAHA! For years I have made my own clothing and jewelry. In the past girls would often commission me because they liked my fresh take and wanted things that would stand out and weren’t mass produced. (I personally handmake all items. Each is little bit different so no two pieces are identical. I mix my own glitter as well so all colors are custom and not just straight out of the bottle.) That’s how my Etsy store came about. After I made my first shrunken head necklace earlier this year, so many girls (and guys) in the tiki scene were commissioning me to make them that I decided I should just open an Etsy store! My biggest success to date were two things: the first being a local boutique “Audrey K” (in Burbank) approached me and wanted to carry my Atomic Cat brooches. Audrey is really amazing and I was so lucky to work with her. The second being, one night in bed I heard an Etsy order come through and I recognized the name. It was one Miss Queenie Black. She is a local goth artist here in Los Angeles, her stuff is amazing and I habve admired her work for years and now here she was, placing an order with me! I felt so honored! For 2018 I plan on keeping a positive outlook and continuing to vend at the Southern California tiki events (Tonga Hut and Don the Beachcombers) and possibly start vending at some of the more goth events as well such as Bats Day at Disneyland. The sky is the limit! I am just so grateful at the warm welcome I have had from other vendors and from my customers! My code for 15% off all items (no minimum) for new customers is NEWCUSTOMER the code is good through December 31, 2017. Attached are two photos. 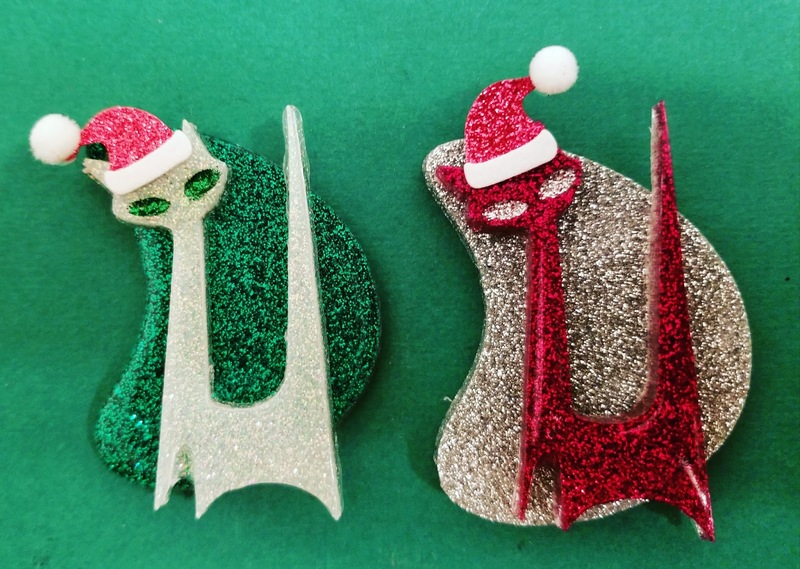 The first is the atomic cat brooches I have available now (holiday edition) which include removable santa hats and the second is an example of one of the shrunken head necklaces I make that is one of my biggest sellers.